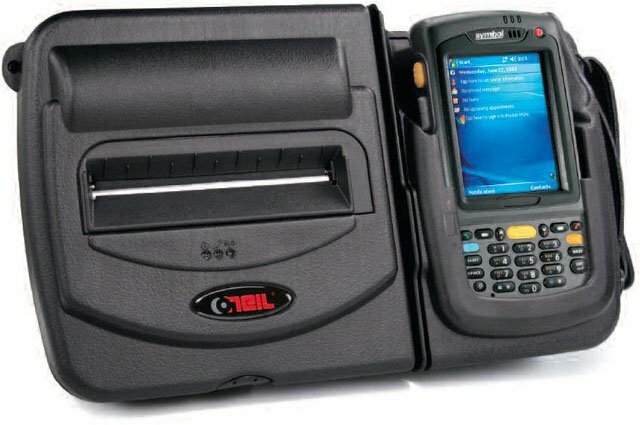 Integrated Printing Systems combine O'Neil's PrintPad with the industry's leading mobile computers to provide the ultimate integration and portability for users in route accounting, direct store delivery (DSD), and other field. This innovative onepiece printer system combines an enhanced 4" wide thermal printer, the 4te, with an embedded communications charging cradle designed for use in a number of different applications with the Motorola MC70 handheld computer. The Datamax-O'Neil 200410-100 is also known as ONE-200410100	or 200410100	.